I hardly consider myself an outdoors girl, but for five days this summer, I volunteered as a summer camp counselor for twelve to thirteen year old girls. We roasted marshmallows, performed in a talent show, and competed in “Camp Olympics.” The campers, aged seven to seventeen, were as enthusiastic, active, loud, and curious as any of their peers at typical summer camp experiences around the country. Yet, Camp Oasis is not your typical summer camp experience. All eighty campers had Crohn’s Disease or Ulcerative Colitis. Although I’ve lived with Ulcerative Colitis since fourteen, I had not experienced Oasis, but I know firsthand the value of camaraderie among young patients and fell in love with friends’ descriptions of Oasis’ impact on young patients. I believe every child should experience camp, but camps that serve chronically ill kids provide them with especially extraordinary experiences. That first bite of a roasted marshmallow tastes just a little bit sweeter to a kid who’s been NPO or on a liquid diet. The kid whose medical chart outshines their personality on a regular basis shines just a little bit brighter on stage. For the kid who has more hospital bracelets than sports trophies, “Camp Olympics” means just a little bit more. We give the campers the reins at camp, and the medical staff stay in the background, and that’s a freedom every young IBD patient should experience. 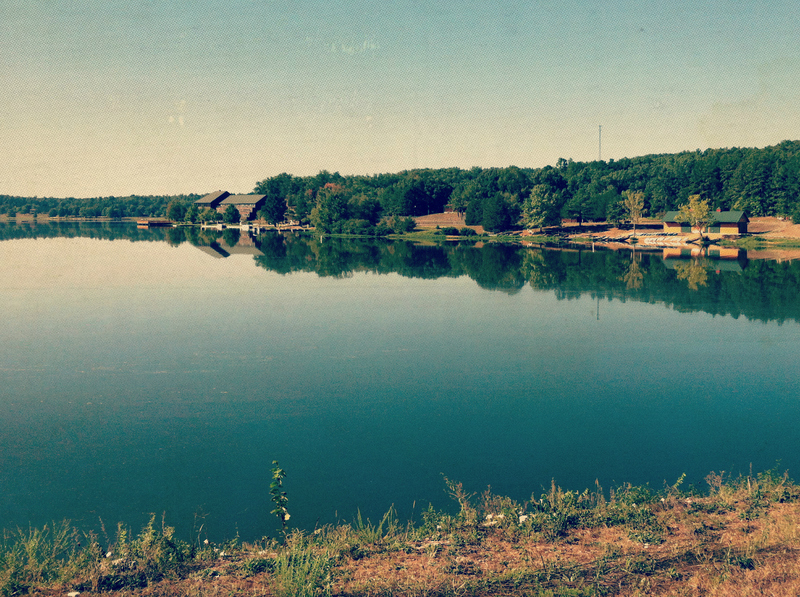 It’s impossible not to look around you at camp and feel crazy lucky, even in spite of the disease that brought us all to a tiny rural town in Missouri. I’d heard from friends at other Oasis camps that the zip line is considered the defining Oasis activity, and since counselors are allowed and encouraged to participate in activities with the campers, this was an activity I was also eager to try, if for no other reason than to say that my first summer at Oasis included that defining zip line moment. I felt like a proud momma watching every camper in my group conquer that wall and the zip line, which made the blow all the stronger when I didn’t. For a few seconds, it bothered me; here, all my twelve-year-old campers had made it up while I had succumbed to the pain. After pepping them up for this the whole week and encouraging them not to give, I had given up. I felt as if I’d let those kids down somehow as a role model, in hindsight a misinterpretation of those words. I didn’t get that defining zip line moment, but the self-pity was short-lived because it was replaced by an ah-ha moment. Through all this reflection over the kids succeeding where I had fallen a bit short, I realized that somewhere during the week, I’d stopped thinking of them as sick. I’m not quite sure how to express the magnitude of this realization. For years, I refused to attend Camp Oasis because I considered it a camp for sick kids - and yet here I was, there in the middle of Missouri at so-called Camp Whiny Sick Kid, and the last words I’d have used to define those kids were whiny or sick. Even the two girls in our and the adjacent bunk who needed to leave for medical reasons were anything but whiny; not to perpetuate the ridiculous stereotype of sick kids as heroes, but those girls were tough. Like I said, I maybe felt sorry for myself not making it up that wall for about three and a half seconds, and then I was over it. My defining camp moment didn’t come on a zip line like I expected; it came on the ground beneath it. Not only had I pushed myself harder than ever before to hang on to a rock wall, but I had finally been able to push past a label I’d stuck to Oasis four years prior. I absolutely expected to look at these kids and see “kid on Prednisone” or “kid who had ostomy surgery,” but instead I saw them as just kids at camp and often forgot why we were all at Oasis at all. I didn't physically land in a harness in the middle of an open field - but mentally, I landed somewhere so much more personally significant. I believe that’s the beauty and power of Oasis. It may be a specialty camp for IBD kids, but it’s so easy to forget why you’re even there. And once you leave, it’s hard to imagine not going back. The lessons I learned in those five days are innumerable, but perhaps the most significant was the reminder of the first piece of advice to come with my diagnosis: IBD, whether mild or severe, should never define a personality. I’m so thankful Camp Oasis is around to help the next generation of IBD kids learn that too - and remind some of us older kids of what we ought to remember.